Northeast Air is pleased to announce that it has signed a dealership agreement for sales, installation and service of the Tamarack ATLAS Winglet product range. Based at the Portland International Jetport in Maine, Northeast Air offers a comprehensive range of services to the General Aviation community including Turbojet & Turboprop maintenance support. Over the last 3 years, Northeast has undergone a complete overhaul of its business including over $3 Million in infrastructure investments, advanced training for personnel and state of the art tooling and equipment. Henry Laughlin, President of Northeast Air commented: “When we first learned of Tamarack’s Active Winglet technology we were eager to discover just how the product was installed and how it benefited aircraft performance. Once we had an opportunity to review the real world performance improvements it was clear that this was truly a game changer for the CJ range of aircraft. 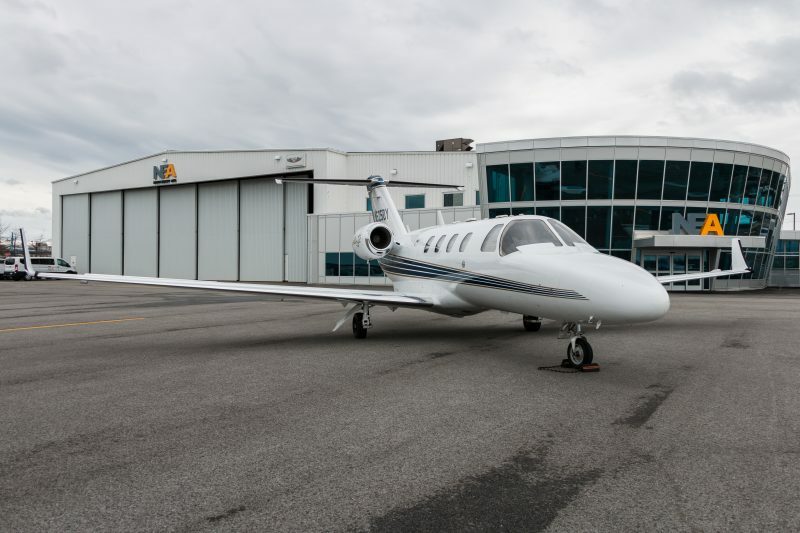 Our team has significant experience maintaining Cessna Citation aircraft, therefore the ATLAS product range was a natural fit for our company. Our current order book of installs includes CJ, CJ2 and CJ3 aircraft”. Brian Cox, Chief Operating Officer of Tamarack stated: “Northeast Air is a great fit for our dealer group. With significant experience and a talented team of technicians, we believe Northeast Air is perfectly positioned to uphold our vision for excellence across the sales and support of our Atlas products”. Based in Portland, ME. Northeast Air is part of an established aviation group. Founded in 1949, group activities span FBO operations, aircraft maintenance, special mission design and install, avionics STC development, airline handling and aircraft sales.